In other words, can public sector unions collect mandatory fees from employees who don't want to pay those fees? Abood recognized that compulsory public union dues could violate the First Amendment for certain ideological or political speech... but allowed the compulsory fees for collective bargaining. I'll broadly generalize the argument in Friedrichs as: Any time a public union is negotiating with the state, it is engaging in political speech; and forcing people to pay fees to support that activity violates their First Amendment rights. In other words, the carve-out for collective bargaining in Abood should be ruled unconstitutional. 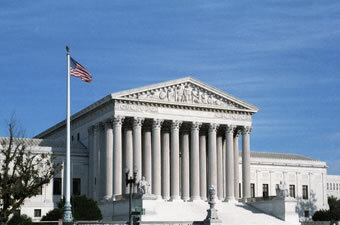 Abood suffered some criticism and setbacks in recent Supreme Court decisions (like Knox v. SEIU and Harris v. Quinn). Friedrichs was going to finally pull the trigger... it was going to kill the Abood carve-out once and for all. But then, Justice Scalia died. Mandatory fees for collective bargaining by public unions appears safe. For now. Although the Supreme Court issued only a per curiam opinion with no analysis, we know they were "equally divided" (presumably split 4-4). Will the Court take up this issue again when they're back at nine? We'll see.